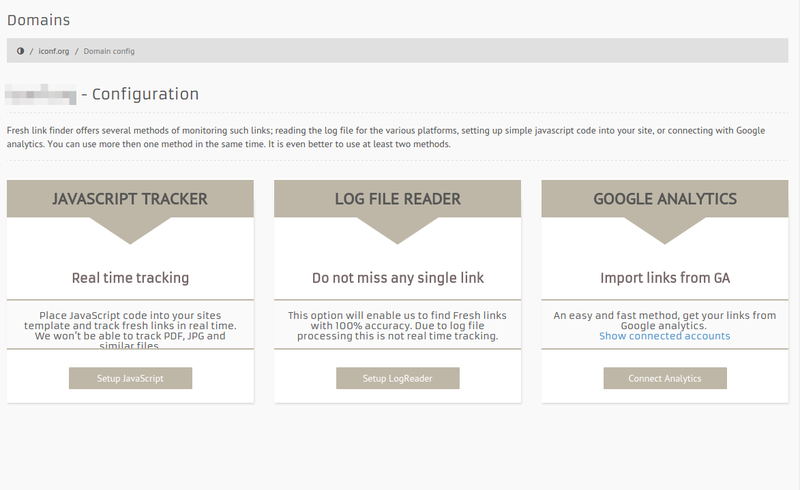 What is Fresh Link Finder? Fresh Link Finder is a tool used to discover freshly created links that link to your site. The specific way in which the Fresh Link Finder functions is that it enables the early detection of links even before Google sees them. How does the Fresh Link Finder work? By using the Fresh Link finder you will be informed on a daily basis about fresh links in a simple and concise way while also keeping track of the existing links. 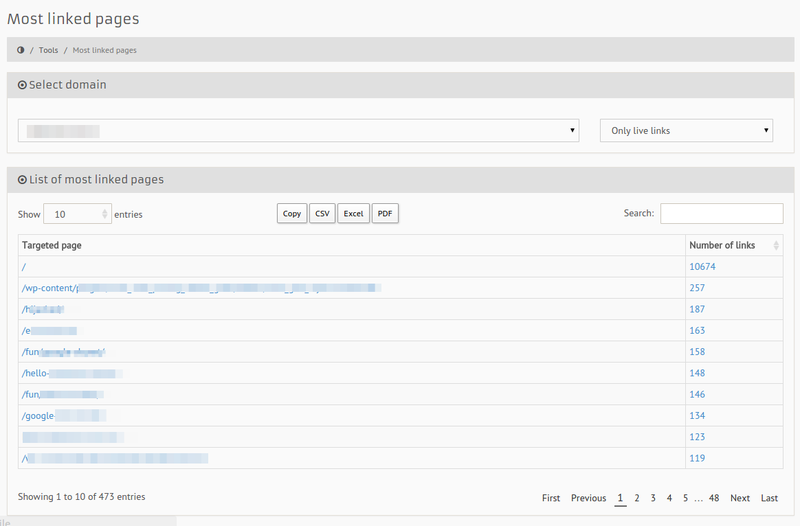 Sorting and using filters for .gov .edu or dofollow links is only one of the options offered by the Fresh Link Finder. Every client has “Rank tracker” available with which they can follow the position of certain keywords in the chosen search engines. The FreshLinkFinder is more than just a product, it's a way of thinking. Benefits of using the Fresh Link Finder. This article will cover some of the benefits of using the Fresh Link Finder and give you the answer as to why you need the Fresh link finder. Fresh link finder does just what its name implies, on a daily basis it finds freshly created links to your site or your clients site. Due to the specific way that the fresh link finder works, it finds new links faster than Google and is of great help in creating link building strategies. Due to the rapid speed in which the fresh link finder finds links, you will be able to quickly react to freshly posted links and if necessary change the ALT tag if the link is through an image, anchor text for a text link or to direct the link to another URL. Also you can boost and strengthen newly found links with social network sites and therefore strengthen your position on Google. There is another side to the new links story and that is bad links. Our tool also finds such links and allows timely interventions and the ability to work on removing them in order to avoid any penalties from search engines. In addition to finding fresh links, with us you will build a database of all existing links and thus be able to easily create reports on new or old links for you or your clients. 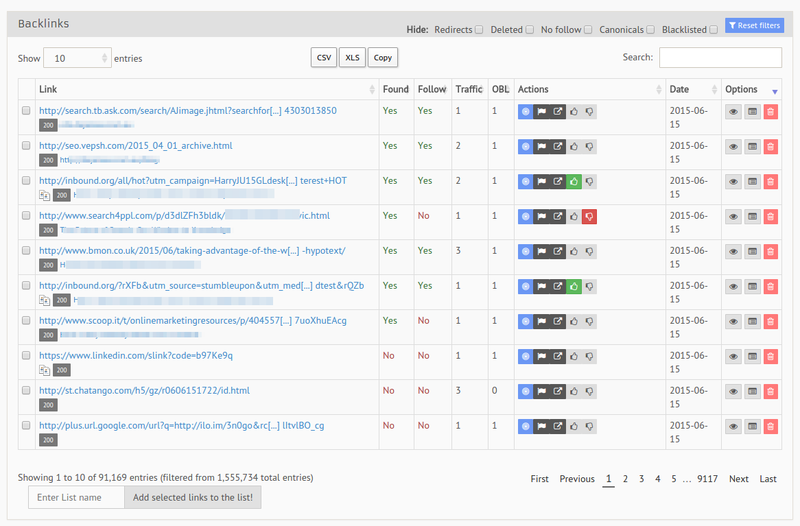 You can also easily filter the links that you choose to display in the report. 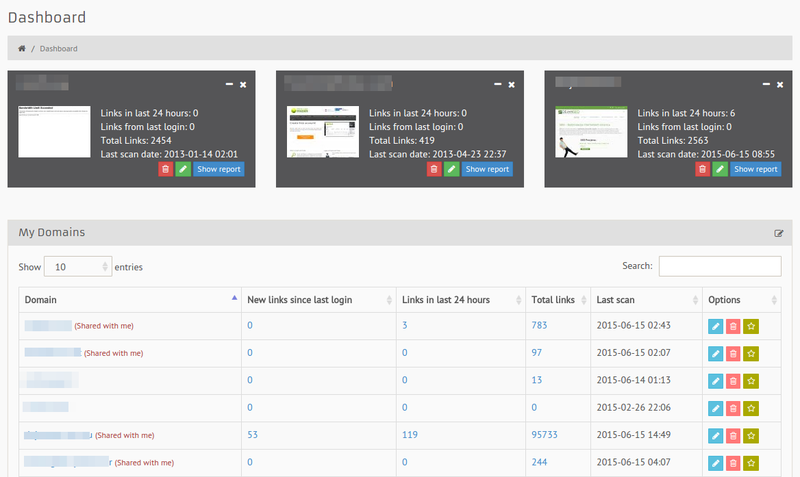 As you can see the Fresh link finder tool is useful to both SEO agencies and webmasters who want to know who links to them 24/7. A: You can register with your Google account, or manually by entering just your name and email. Q: How many domains can I track? A: There are no limits in number of domains you can track. Q: How can I edit an existing connection with my domain? Q: How can I turn off the daily notifications of new links? A: This option is available under “Edit profile” and is called “Email notifications”. Q: Can the additional users edit the domain settings? A: No, the additional user has the option of viewing the report and password change. Domain administration remains yours. Q: How are subdomains treated? A: Subdomains are treated like domains. 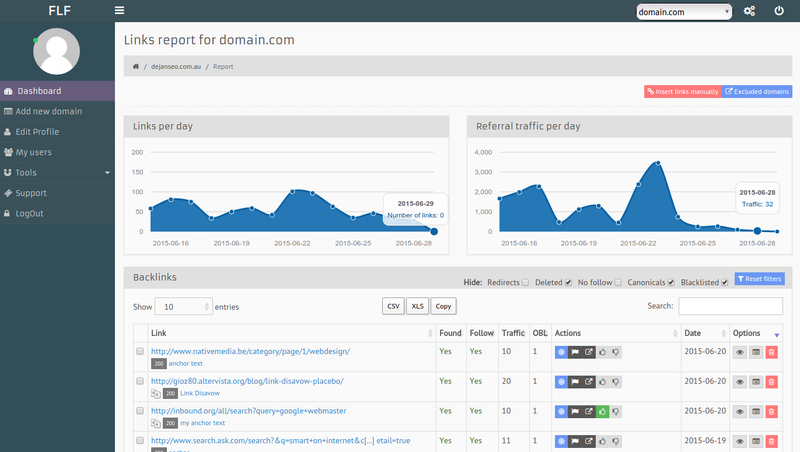 Fresh link finder is a tool primarily intended for discovering new links to your website. Google and similar services don’t actually index all links to your site. The link to your site can be placed on a page that does not have any backlinks, meaning that and therefore the crawler can’t find it. Fresh link finder will discover such links, since our methods are not only based on searching the web for links, but also on tracking where the visitors to your site come from. Filtering links: If links from certain domains are of no interest to you and you do not want such links reported in Fresh link finder, you can easily exclude the domain from the report. Link search: The links that Fresh link finder found throughout the past can easily be searchable by various criteria (do follow, gov, edu, keyword, link type, etc.). Manual link import: The ability to manually enter links from various lists such as exporting from Google Webmaster Tools, majestic and other similar tools. 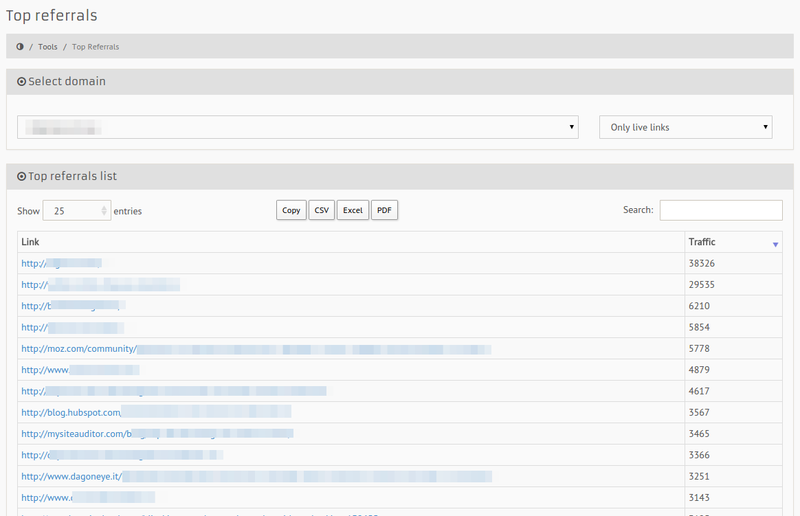 Google analytics: You can connect your Fresh link finder with your Google analytics account and pull data from there as well. Favorites: Certain links or searches can be saved as favorites, and you can view them later. .gov and .edu links: Fresh link finder will highlight links from .gov and .edu sites, and you’ll be able to browse through them more easily. 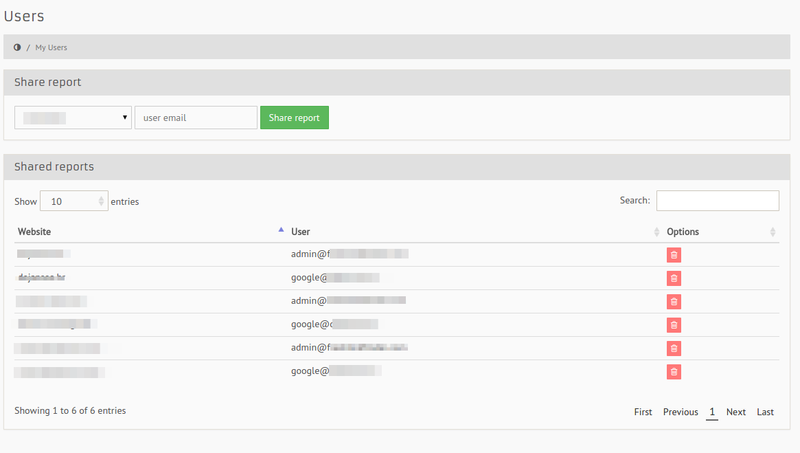 Shared reports: The possibility of sharing reports with other users. 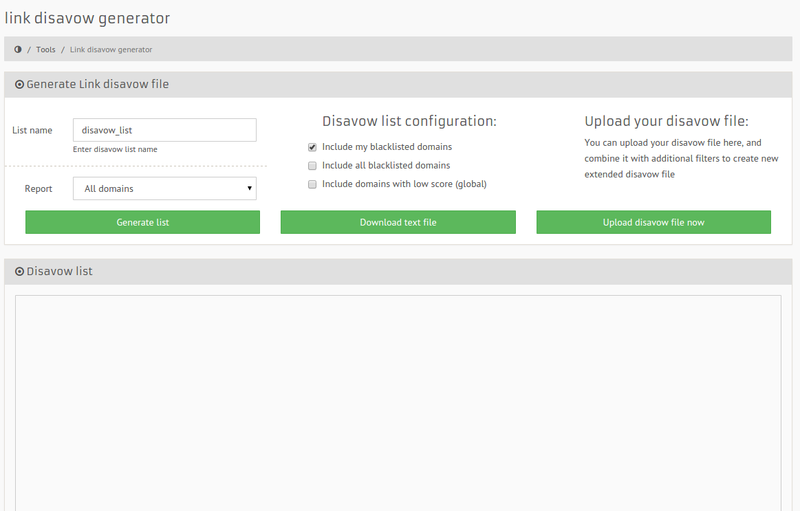 Disavow List generator: Simple disavow list creation based on previously marked bad links. There is also a possibility of combining your existing list of links with the ones from the database. 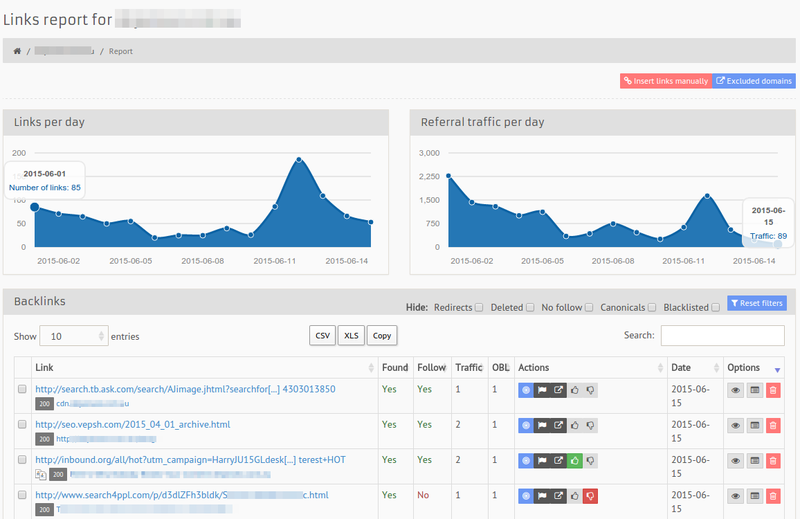 Top referrals: List of referral links that generate most traffic. Top pages: List of pages with the highest number of backlinks. You will get statistical data for each link that Fresh Link Finder finds and confirms to actually exist on a particular site (do follow, redirect flag, OBL, domain alexa rank, etc.). Start your free, no-risk, 30 day trial!! Beta testing is closed to new users. Fill in the form bellow if you wanna join the next round.